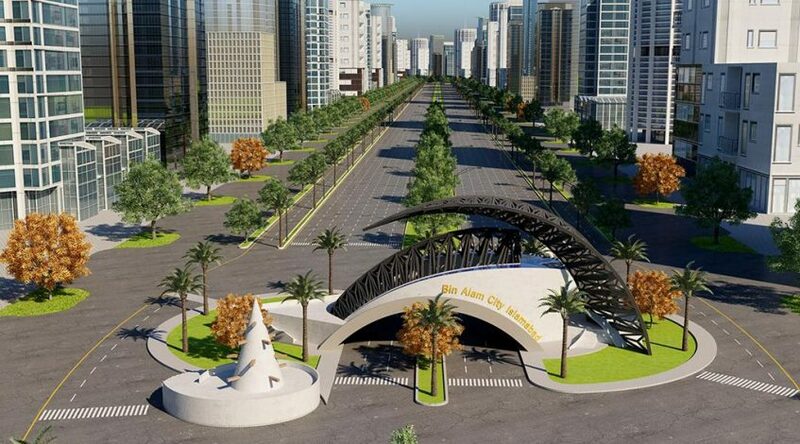 Bin Alam City Islamabad is being built with the aim to provide next-generation facilities and infrastructure to a land that is least developed. Bin Alam Developers Pvt. Ltd. is all about the future development and prosperity of the nation, and everyone should be able to get a piece of it. 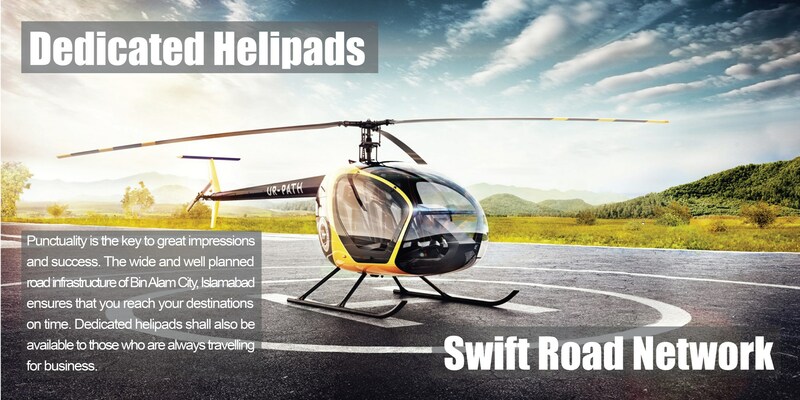 Bin Alam City Islamabad is a city in itself that will comprise of highly advanced, modern day facilities at a scale that the nation has never seen before. 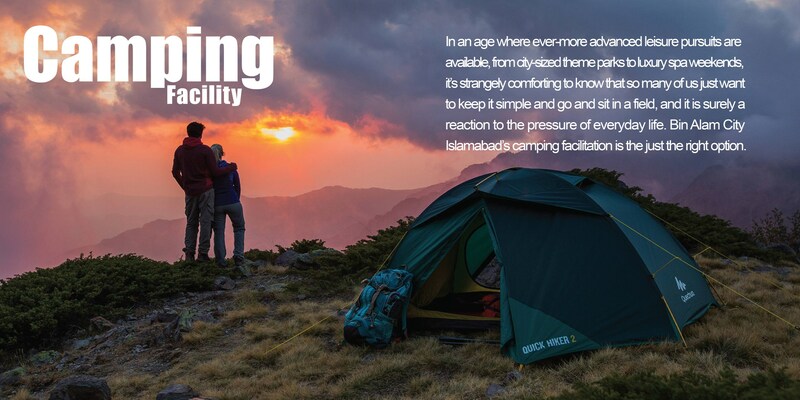 The prime location of the society is closely connected to Ranger station. Fatah Jang main Islamabad road has a direct way to Bin Alam City Islamabad. Bin Alam City Islamabad have few minute distances to Qurtaba city and HPL city Villas Islamabad. 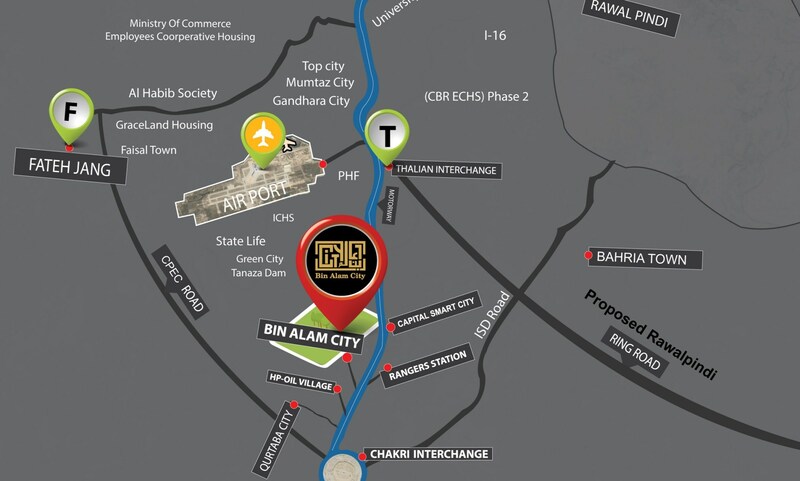 As you can see on the location map, Bin Alam City is located to the opposite side of Capital Smart City. And as the city is growing its boundaries, this location is going to get a huge influx of people in few years time, especially due to its nearness to CPEC route and easy access to new Islamabad Airport through Motorway M-2. Currently, you can access the society through a service road from Chakri Interchange. However, an interchange is approved near the society that will give easy access to Capital Smart City as well as Bin Alam City. 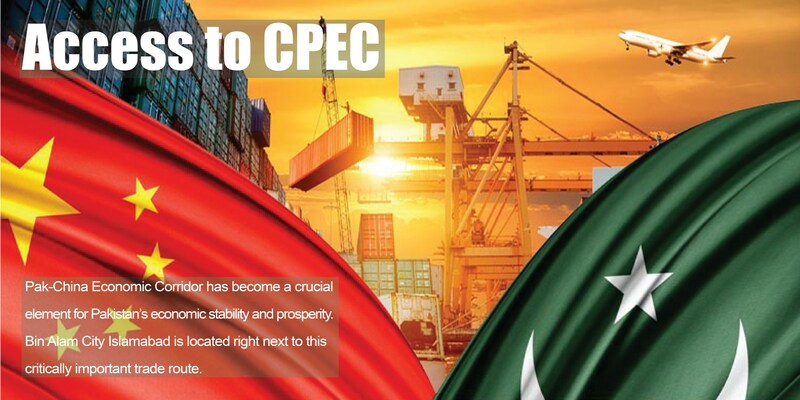 Pakistan has witnessed major leaps when it comes to modernized development. Projects like Gymkhana have proven to be huge milestones in the progression. Bin Alam Developers Pvt. Ltd. has the vision to take the country to new developmental heights and go beyond the present limits. In order to achieve this goal, the company is proud to introduce the Grand Magna Club & Resorts – a mega project, first of its kind, being developed at a scale that the country has never witnessed before. Located in the capital city, Islamabad, the Grand Magna Club & Resorts will be equipped with high-end, latest and highly advanced facilitations of accommodation, recreation, education, lifestyle, and adventure. With the joint venture between Bin Alam Developers Pvt. 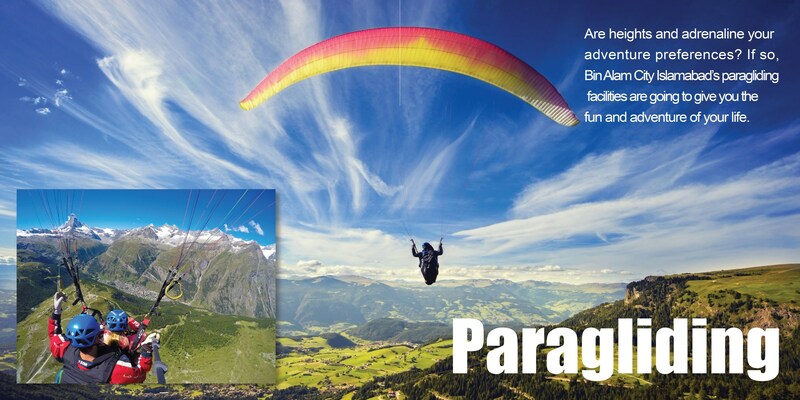 Ltd. and international investing companies, this project shall attract huge investments and tourism to Pakistan. 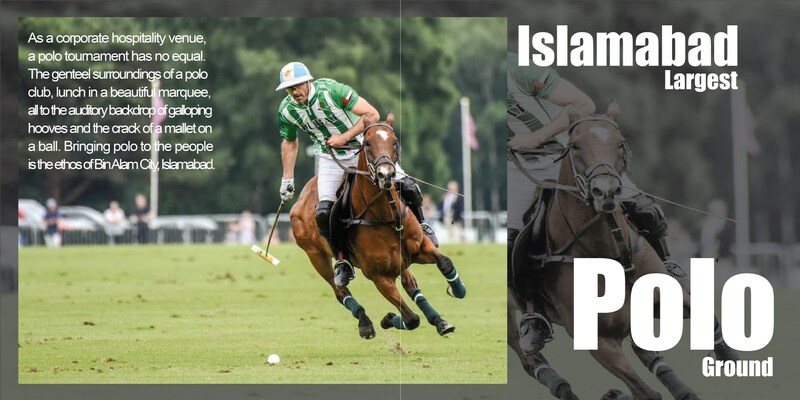 You have seen marquee chains, giant gymnasiums, safari parks, and grand hotels but you haven’t seen them all together with a load of other international standard facilities. 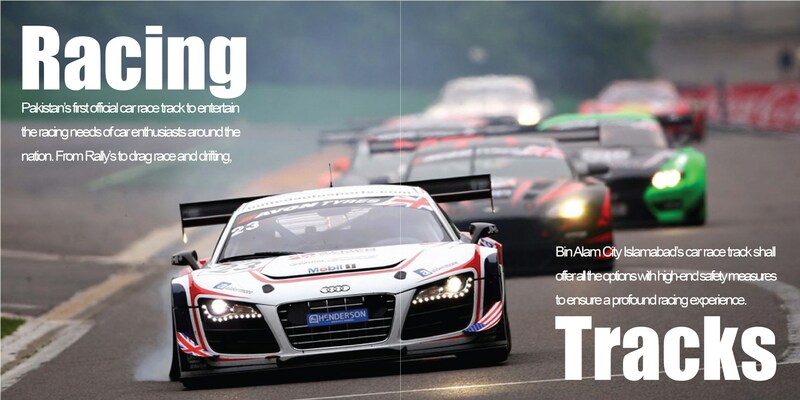 Pakistan’s first official car race track to entertain the racing needs of car enthusiasts around the nation. From Rally’s to drag race and drifting, Bin Alam City Islamabad’s car race track shall offer all the options with high-end safety measures to ensure a profound racing experience. Thrilling rides. Entertaining shows. 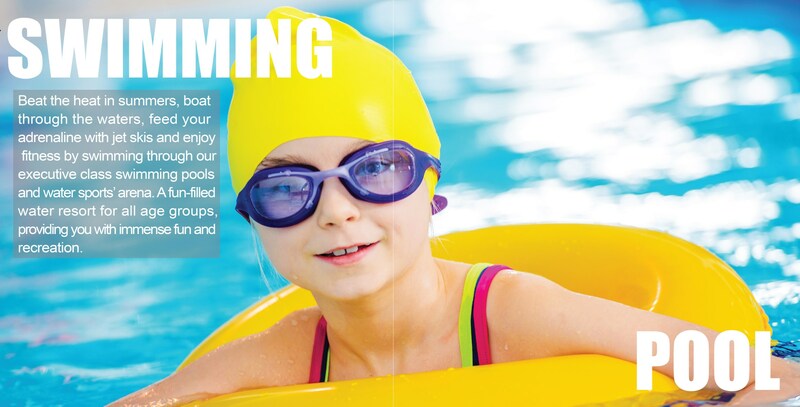 Refreshing water slides. 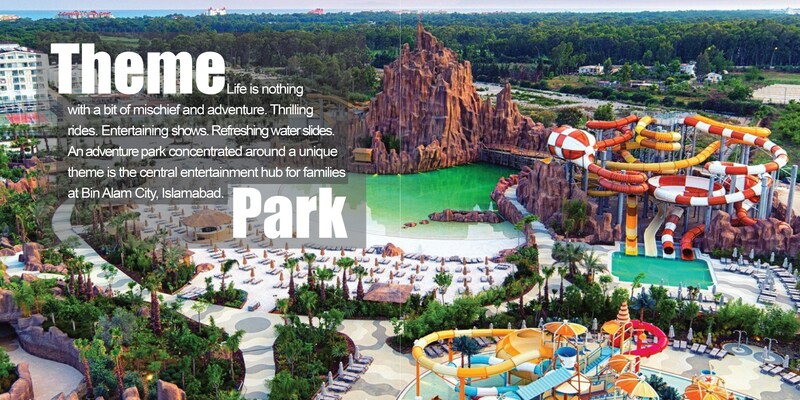 An adventure park concentrated around a unique theme is the central entertainment hub for families at Bin Alam City, Islamabad. 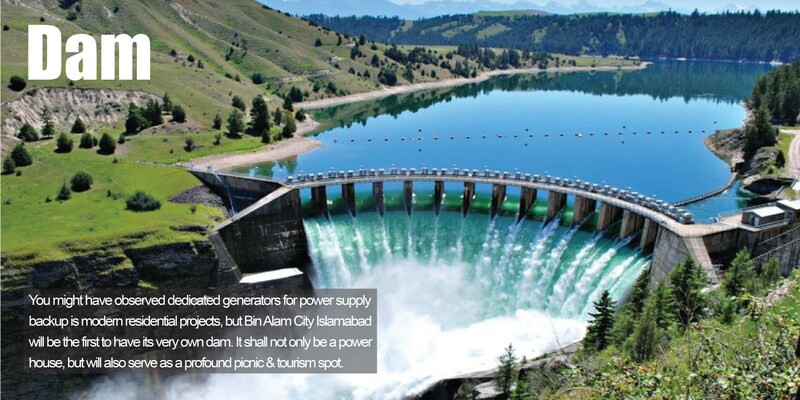 Bin Alam City Islamabad will have its very own dam. It will be used for power generation as well as a picnic and tourism spot. 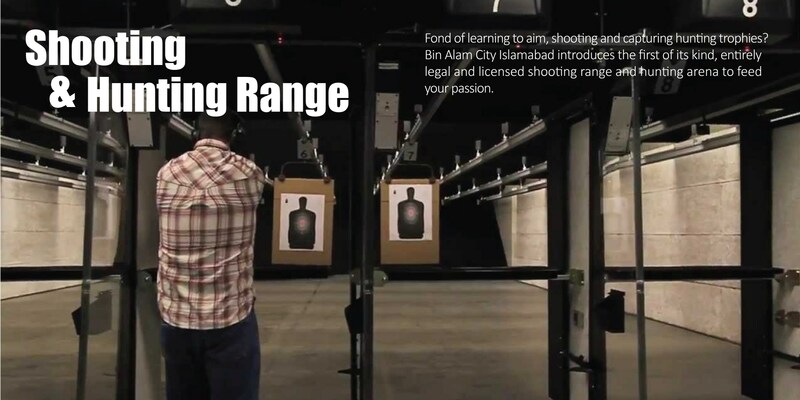 Bin Alam City Islamabad introduces the first of its kind, entirely legal and licensed shooting and hunting range. 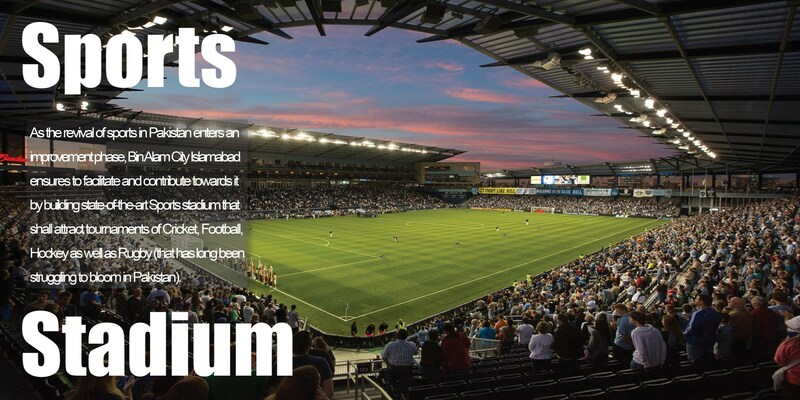 Bin Alam City Islamabad ensures to facilitate and contribute towards the revival of sports by building a state-of-the-art Sports stadium that shall attract tournaments of Cricket, Football, Hockey and Rugby. 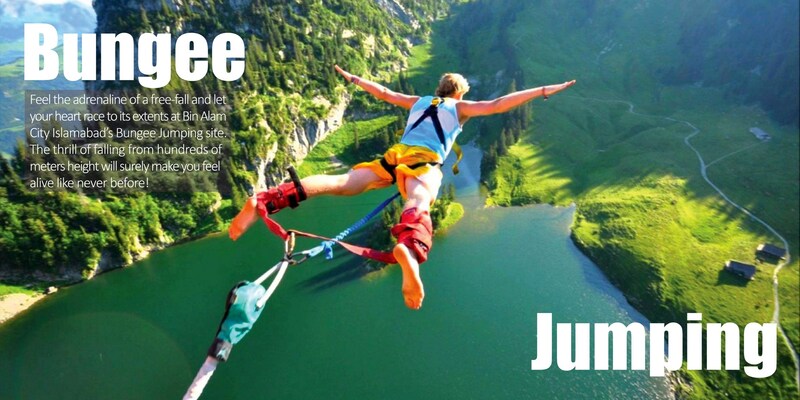 Feel the adrenaline of a free-fall and let your heart race to its extents at Bin Alam City Islamabad’s Bungee Jumping site. The scheme initially offers different sizes of residential plots, and 7 marla single storey homes on easy installments at the pre-launch introductory price. You can consider this opportunity for future residence or long term investment. Bookings start from 15% down payment, while the remaining amount is payable in 60 monthly installments or 20 quarterly installments. Currently, the society offers 5 marla, 10 marla and 1 kanal residential plots in pre-launch phase at introductory prices. 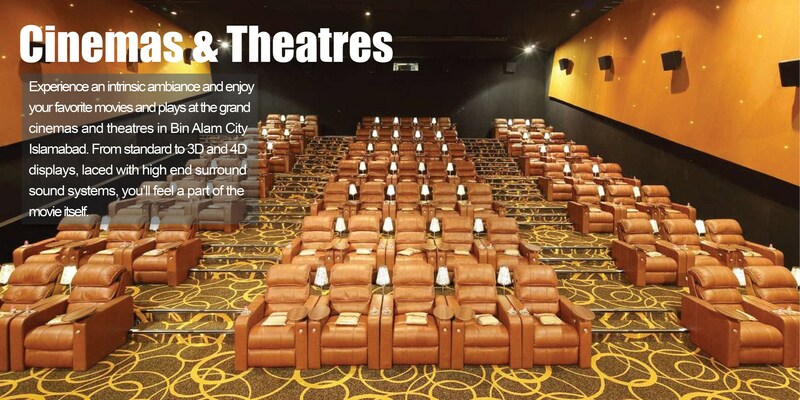 Bin Alam City also offers a low-cost housing solution in its housing society in this pre-launch phase. It offers 7 marla single storey Capital Awami Villas on 3 years easy installment plan at introductory prices. 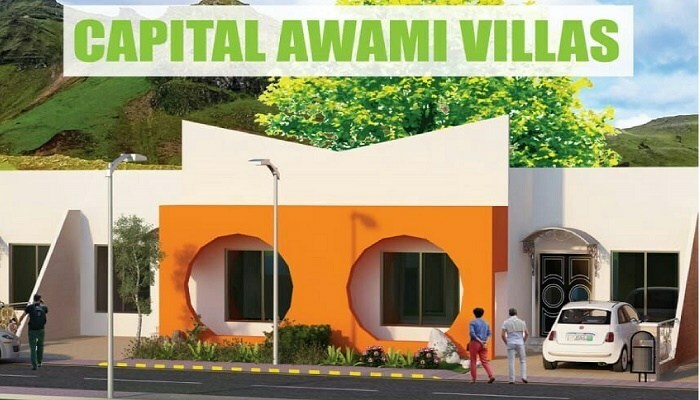 Capital Awami Villas offers a reasonable price. Bookings of plots and Villas are currently available at pre-launch prices.